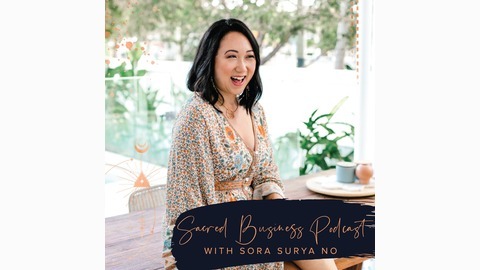 This is the Sacred Business Podcast, a show for Spiritual Womxn Identifying Entrepreneurs and leaders. I am Sora Surya No. 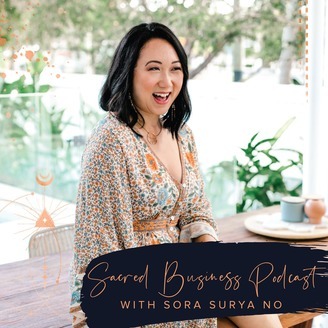 On this show you’ll meet inspiring guests, get some business tips, experience sacred practices, and listen to my personal lessons as a business owner. As a transformative business coach, powerful medicine woman, inspirational speaker, fire igniter, heart whisperer, and world traveler, I have helped hundreds of women around the world heal their stories and transform their sacred business. It is time for us to claim our rightful and equitable place in entrepreneurship through scaling our business efforts. You are worthy divine sister!